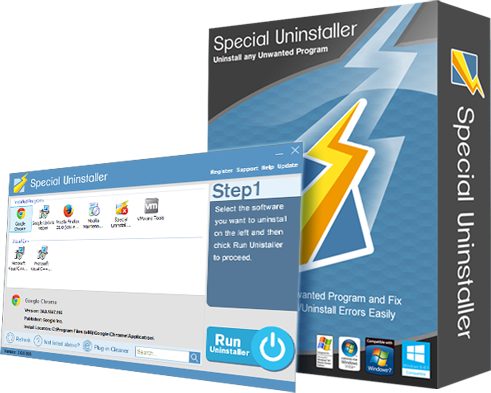 Easily and Fully uninstall the unwanted program the standard Windows Add/Remove applet can't. The force uninstaller wizard has the ability to analysed and detected the leftover registry entries of programs that are already uninstalled. 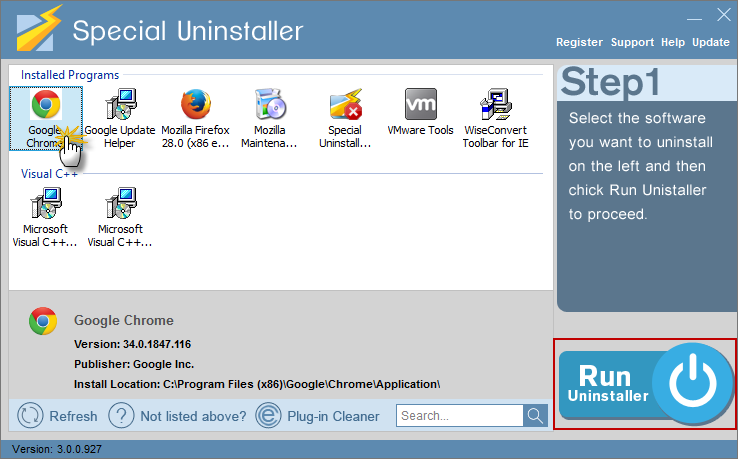 This powerful feature allows you to remove the hidden leftovers and uninstall remnants of programs! Our priority is to help you to solve your uninstall problems. Even if you haven't registered our product, we will certainly reply your message. 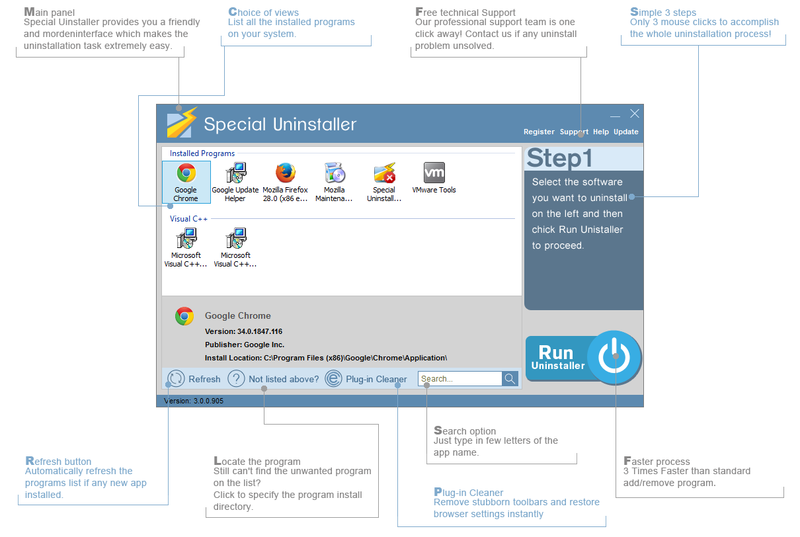 Select the software you want to uninstall from the detected program list; and then click Run Uninstaller to proceed.